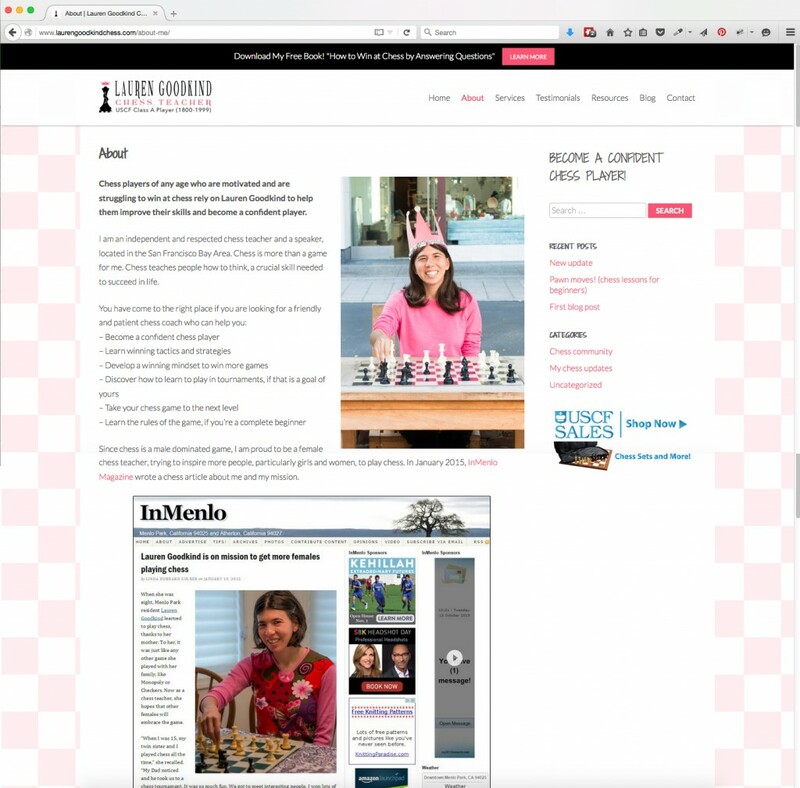 Recently I had the exciting opportunity to work with Lauren Goodkind on her new chess website! 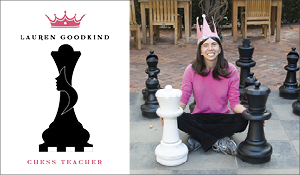 Lauren Goodkind is a one-of-a-kind chess player and teacher! 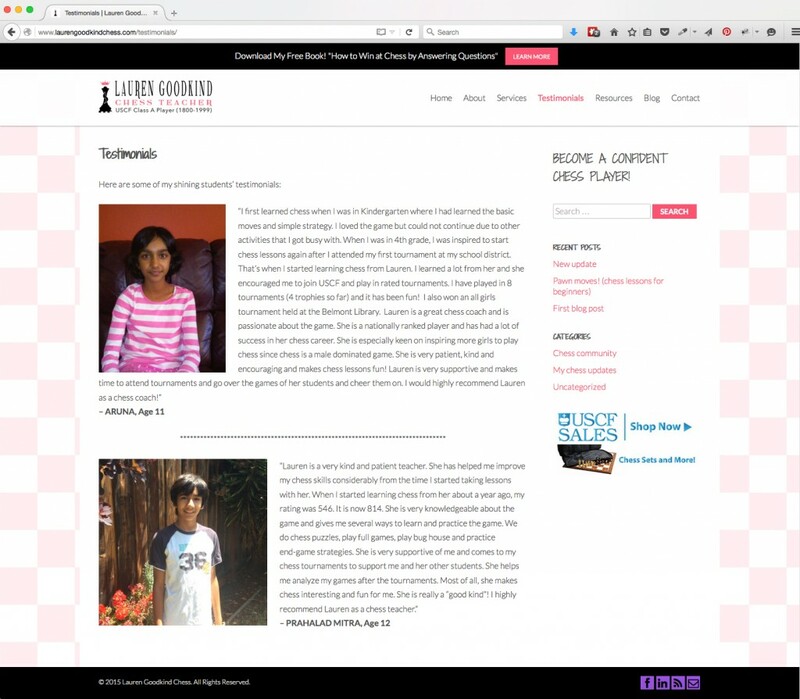 She has been playing since age 8 and has been a victor in numerous chess tournaments over the years. 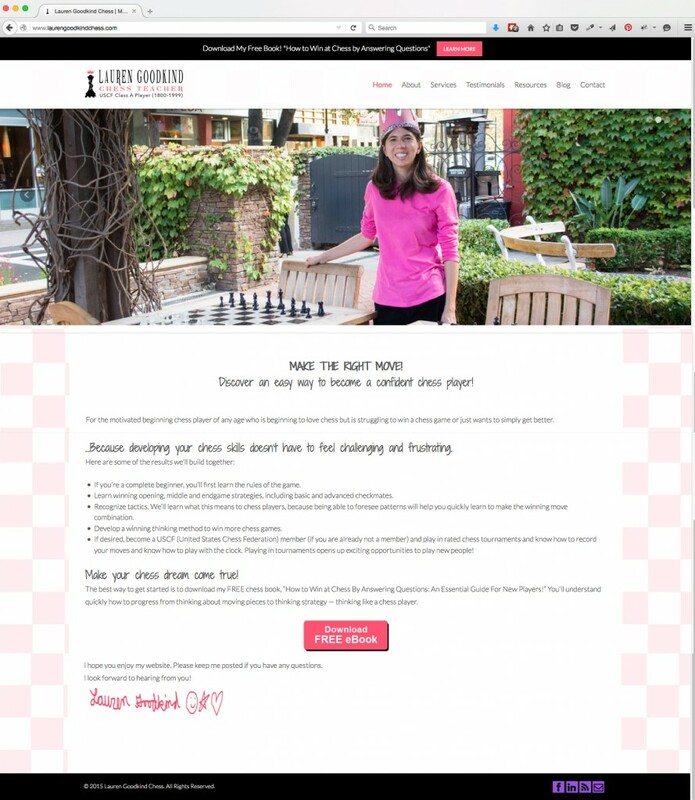 Now determined to build a career out of her passion for chess, Lauren hired me to help her make a website. Lauren is a delightful individual and super great to work with! 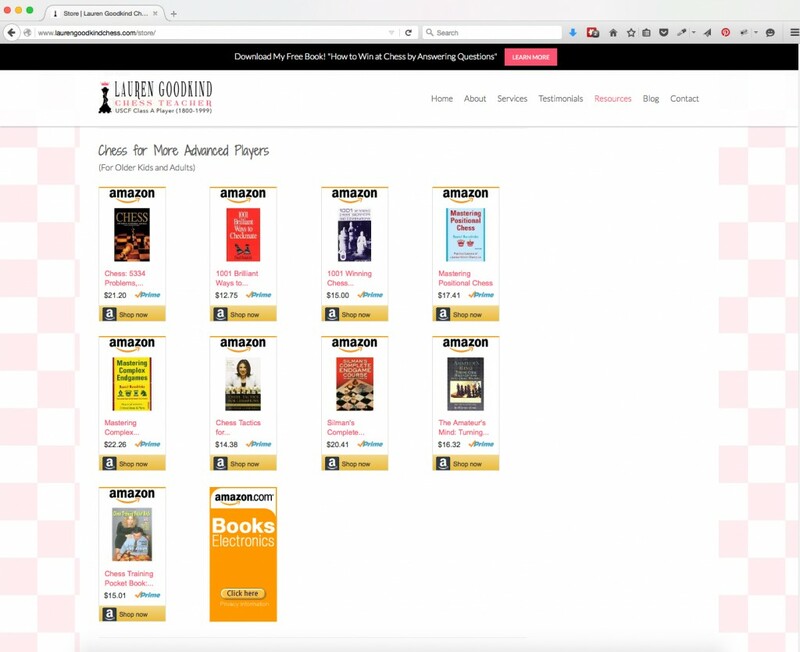 I gave her a task list to get the website going and she diligently completed all of her tasks and made accuracy on the website her top priority. 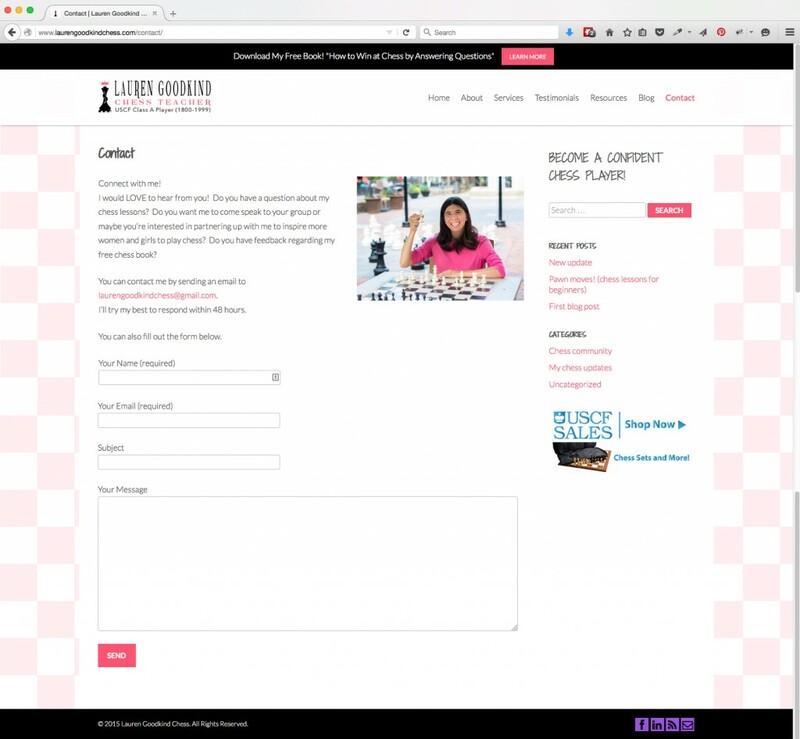 She even set a timeline for us to have the website completed and because of her dedicated hard working nature, we had everything done! 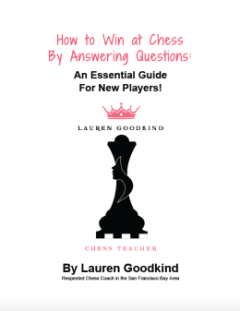 So if you are in need of a good chess teacher or would like some wisdom in what chess items are simply must-haves or want someone super brainy to speak at your event, you should definitely check out Lauren Goodkind!!! And Good job Lauren! I’m so proud of all you’ve done already and I wish you the best in your chess business endeavors!